This is now available in Eyes-Standard. Note that as usual, you may have to clear your browser's cache if it doesn't show up at the end of the list. Very nice! I actually have an old cyclops somewhere, I might just go and update it. 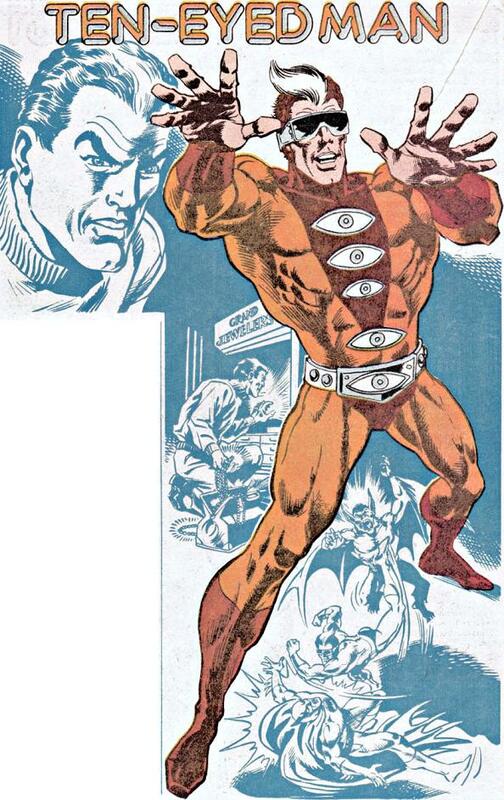 cool, thought about making a cyclops to go with all my other fantasy characters the other day. Since we’re talking eyes, what about that idea of taking the pupils out of the eyes so we can make characters look left, right, up or down, however we want? At last the final piece to recreate the dreaded Ten-Eyed Man! I’ve been itching to make a villain who tries to beat Batman just because he can see with his fingertips! I’d have used that some time ago. Too bad. But maybe I’ll in the future! Many thanks anyway, this is great! Eye see that HM3 has a new update. Nice one DBlade! This will also make a great third eye I had in mind for a character. Me, Myself & Eye like it! Worf (4) I had the exact same idea this afternoon. I already started to draw them so give me a little bit and I’ll see what I can do. Jeff I hope you don’t mind me presuming that you might be able to use them; of course you will have the final say. Items look great Jeff but I’m having a problem. Whenever I enter HM3 now, it asks me for free space or something and asks wether to accept or deny, and I can’t click either one. Works fine on my laptop though. Any suggestions? KrimzoN, the new template adds a save file to your drive, that’s probably bigger than what you have allowed Flash. Right-click on the HM app, and choose Settings from the flyout. Click the folder tab at the bottom, and move the slider to 1MB or so. Check the box that says “Never ask again” if you like. Hit OK and you should be good to go. Great addition. Really cool. Is it possible to change it so the secondary color can change the white of the eye? I have this whole Cyclops mythology where the color of their pupil and eyeball reflect their personality. Obviously not necessary, but seems like people generally don’t get much use out of the surrounding eye color too much anyway. That’s the problem though. I CAN’T click it. It’s literally locked up. I can’t even click the buttons. I’ve tried installing new Adobe Flash and everything. Nothing works. I guess I’ll have to use it on my laptop from now on. Crap! Worf (4) OK, here’s what I got so far. I just need to finalize a few things and send them to Jeff to see if they meet his approval. I just downloaded Macromedia Flash to draw these in and need to do a few touch ups before sending them to Jeff. Hopefully I haven’t presumed to much in hoping they can be included. Even if Jeff chooses not to use these I think it was a worth while exercise; I learned a lot doing it. Has anyone came up with a good werewolf look? I know we have that fur covered body but im lookin for something with the broader shoulders and a slouch kinda. I saw someone created one back in the angel or demon contest but i cant seem to re create it. @MMI: A W E S O M E ! I sincerely hope Jeff can use those. 100% agreement with Worf! I especially like the idea of eyelashes. Playing around with some of the items recently added. What you think peep’s? Awesome idea, especially the eyelashes and cat’s eyes. I was just thinking about that while I was making the cyclop’s eye. I can definitely see this being used to great effect. Cool item! I’ve all ready seen some awesome creations using this item. Question, though. Regarding the eyes and other facial features, will they be converted into a ‘female’ set that’s sized down and repositioned to fit on the female heads? Don’t ask me what possessed me to use two cyclops eyes on one head (because I really don’t know where that came from) but it generates a very peculiar effect. Turns out that your angry cyclops eye can also work for a pretty twisted mouth. That reminds me. I want to do a another wide-mouthed toothy asset. Something a little more vicious and sharp looking (Venom, Alienish). What do you think? Are you sure that’s an angry cyclops eye? Because I got a happy cyclops with it. (Warning: picture contains bad anatomy, dancing, and lots of pink.) Hey, don’t judge; prancing with Pan in a field of flowers while wearing pink could be a very masculine thing in his culture. The manly men in Rome always wore skirts, you know. Actually its a good image.